A surgical strike special force is not the solution to Pakistan’s terrorism. The former Northern Army Commander Lieutenant General (retd) D.S. Hooda’s comments about the “surgical strikes” have triggered another bout of political recrimination. However, the furore over the general’s observations on “overhype” and politicisation of military operations has drowned out his more important points about the challenges and limitations of such “surgical strikes”. These are well worth pondering, especially in the light of the government’s recent plans to create a new special forces unit dedicated to carrying out such operations. This move not only underscores the risks that General Hooda warned of but could also exacerbate the institutional problems confronting the special forces. For starters, the general clarified that from his vantage point, the main objective of the operation was retribution – not inducing a change in Pakistan’s behaviour. As he put it, “When we were planning it, there was no thought in our mind that Pakistan will stop doing Uri-like incidents… You may call it revenge, but this had to be done.” There is nothing unusual about retributory strikes. Indeed, they are the norm in bringing to bear artillery fire across the Line of Control. As long as the political and military leadership’s expectations are accordingly calibrated, such “surgical strikes” can be useful in restoring an operational balance along the LoC. The problem starts when the political or military leadership begin to think that such operations can have a strategic effect in deterring Pakistan from resorting to terrorism. Here, the domestic overselling of the operations becomes problematic. All strategic actions are aimed at multiple audiences, including adversaries and domestic constituencies. The desire to “do something” is often a strong driver of strategic choices. Even terrorist outfits carry out ineffective attacks merely to show their state-sponsors that they are active. Nevertheless, an excessive concern about pandering to domestic audiences is counterproductive. In this case, the government has convinced itself that “surgical strikes” not only go down well with its constituencies at home, but also promise precise effects at low cost and little risk of escalation. This is the dynamic that General Hooda warned of: “if you hype a successful operation, then even success has its burdens”. In fact, the history of special operations throws up ample warnings of their dangers. In the first place, the allure of these exceptionally trained and talented units leads to their frequent misuse. As Eliot Cohen argued in his seminal study Commandos and Politicians, special forces have always been a temptation for political leaders. They are often assigned missions that are more appropriate to larger conventional forces. The experience of the Indian Army’s para commando units in the early stages of the intervention in Sri Lanka amply bears out this point. Further, special forces are particularly vulnerable to a bit of bad luck. This is true even of special operations units that are far better equipped than ours. Recall the failure of the mission to rescue American hostages in Iran in 1980 or the infamous “Blackhawk Down” mission in Somalia in 1993 – both of which tragically unravelled owing to the problems with helicopters. In the wake of the successful operation of 2016, the government is tempted to regard special forces as the answer to the strategic conundrum of dealing with Pakistan’s resort to terrorism against the nuclear backdrop. But this conclusion at once overrates the strategic impact of special operations and underestimates the potential costs should an operation go awry. The latter includes not just military costs, but political costs with domestic audiences. The government’s plans for a special forces unit solely for “surgical strikes” is riddled with other problems as well. The new unit will reportedly be formed out of the best trained and most experienced soldiers from the Army’s special forces, the Navy’s marine commandos and the Air Force’s Garuds. The milking of existing units will invariably denude them of talent and leadership. And these are not easily or quickly replaced in any special forces outfit. This is bound to exacerbate their problems. In their book on history of the special forces, Lieutenant General P.C. 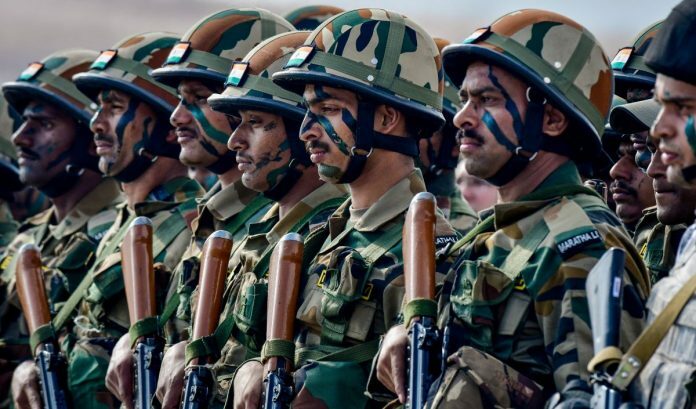 Katoch and journalist Saikat Datta argue that the Army’s attempts to expand these units has consistently been plagued by the lack of quality manpower and officers as well as equipment. Then there are the issues of command that have affected the deployment and efficacy of special forces. Several reports, including the Naresh Chandra Committee, have recommended the creation of a special operations command to effectively harness the capability of these forces. The government has yet to sign-off on this proposal and in the meantime, the new outfit will be placed directly under the control of the Army chief. Instead of tackling existing problems, the government’s plan will create fresh ones. The experience of other countries points to another subtle problem of relying heavily on special forces. These units are easily valorised in public perception –especially by political leaders who are taken in by the mystique and romanticism of covert operations: think of Winston Churchill, John Kennedy or Moshe Dayan. More broadly, the special forces’ proximity to political leadership leads to conventional units worrying about the dilution of their importance. This can have deleterious institutional consequences. It is worth recalling that even in the Indian Army there was considerable resistance from the Parachute Regiment to hiving off the special forces units into a separate regiment. Special forces undoubtedly have an important role to play in dealing with cross-border terrorism. But history suggests that they come with a “handle with care” tag. Nor should the euphemism of “surgical strikes” obscure their reality. As McGeorge Bundy, Kennedy’s national security advisor, put it: surgical strikes, like all surgery, are blood, messy, and you may have to go back for more. Srinath Raghavan is a Senior Fellow at Centre for Policy Research. Views expressed are personal. Surprised to see that Indian Generals do not feel ashamed for remaining stick with the lies. Lt General (retired) DS Hooda is unabashedly giving the statements about imaginary surgical strike on which whole world is laughing that in which world stupid Indians used to live. It is very much ashamed that Indian Generals are also living their lives in fantasies. The hype created by rhetoric against Pakistan had made return to normalcy for Prime Minister Modi difficult, due to public anger against Pakistan. The claim of surgical strike at least pacified the people in the country. So the motive behind claiming ‘surgical strike’ is reversing the hype and anger in India that was hindering Modi to talk sense in public. And Modi currently is in no position after creating this false strike drama at home. What was described as surgical strike was not a surgical strike in real military sense. It was only cross border firing on which some so called terrorists about to enter India across the line boarder. No doubt this took place on Pak side of boarder.Such cross boarder killings took place in the past also and these are part of regular happenings on the LOC as long as the environment is hostile. This type of happening should not be construed as revenge. These are all strategically planned and executed defence activities and army should never be brought into public discussion as is being done in the name of patriotism .This type of rhetorics should be stopped by politicians. Any information related to defence forces should be a secret information. “Surgical Strike unit” is nonsense. Every infantry unit needs to go through commando training, parachute training and be prepared for any kind of infantry action which circumstances may require. You seem to be an expert in handling such situations. Why dont you join the defence and practically solve the problem ?? We all would be so kuch obliged. Its very easy to sit and barf you see. Anybody on this godforsaken earth can do that. Pimps like you are the reason why Muslims and British ruled us for so many years. Why dont you handle your stupid artcles with actual care?? We already have plethora of forces created after every crises .See the types of centeral police forces we have to day with conflicting charter and agenda. Creating a force to tackle a problem is no answer. We should rather improve the efficiency of existing forces we have. The author of the article has very clearly brought out the pitfalls of creating the proposed force. There seems that some people in the system, who are always hungry to remain on the centre stage . The successive govts have failed to read in to the pages of recommendations of the different committees of experts in the past. Heart of heart more or less every one consents that we must implement the recommendations of these committees but there is a fear or lurking doubts in the minds of some in the system basically because of insecurity they have . We already have plethora of forces after every crises . Creating a force to tackle a problem is no answer. We should rather improve the efficiency of existing resources we have. The author of the article has very clearly brought out the pitfalls of creating the force. There seems there are some people in the system who carve to remain on the centre stage . The successive govts have failed to to read it to the pages of recommendations of the different committees of experts in the past. Heart of heart more or less every one consents that we must implement the recommendations of these committed but there is a fear or lurking doubts in the minds of some in the system basically because of insecurity they have .